With a switch to newer MongoDB drivers and other low level improvements, the new Meteor 1.4 works much better with Compose's MongoDB. That means that we now recommend that users migrate to Meteor 1.4 to get the best performance and reliability with their Compose databases. Meteor 1.4 has two major improvements. 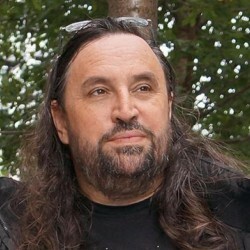 Firstly it can use Compose's default connection strings which specify two addresses for database connections. Updated Node MongoDB drivers now correctly parse the connection string which, in turn, means it can make use of both access portals for failover. The other improvement is that change-streaming Oplog connections are now far more reliable, again thanks to the updated Node MongoDB drivers in Meteor 1.4. Before we move on to talk about that, we'd like to remind you that the use of the Oplog may not be ideal for all Meteor applications. The question of whether or not you want to enable the Oplog is still a question for Meteor application developers to answer for themselves. 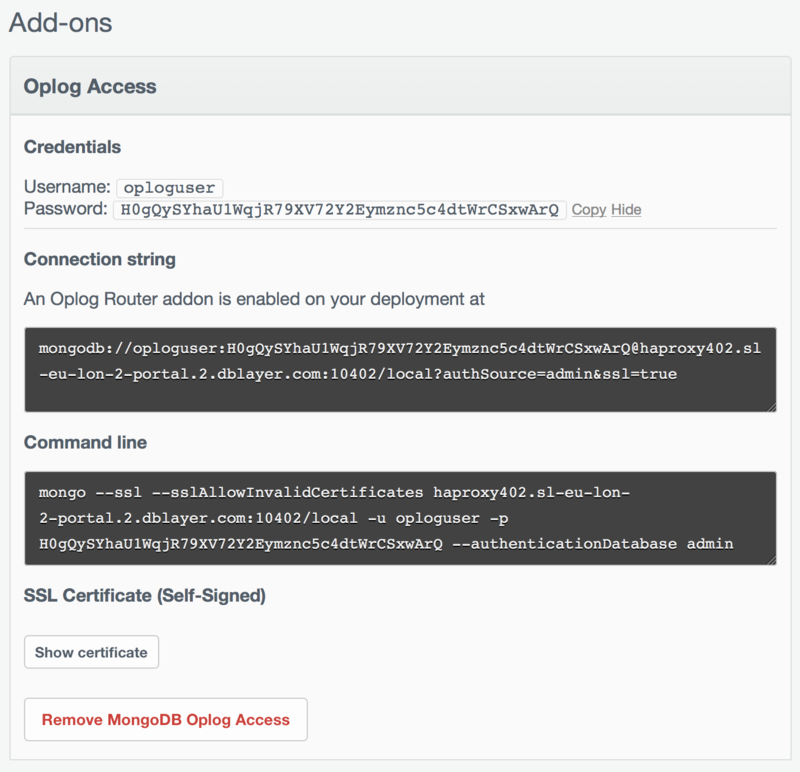 As we discussed in Connecting to the Oplog on the new MongoDB there are application architecture issues to bear in mind. The number of meteor servers and actual speed and quantity of updates needed between those servers has an impact on overall performance. If your users are, for example, not collaborating on the same forms or documents then the constant stream of updates when the Oplog is in use from other database changes may use more resources in your Meteor servers than the users using those servers. The good news is that use of the Oplog is entirely determined by the presence of one environment variable so it is easy to switch between oplog and non-oplog use. So let's look at configuring the new Meteor and Compose. This is the global connect string and as such it shows how to connect to the admin database which is always going to exist (as it stores the user credentials among other things). Note the admin at the end before the ?ssl=true (unless you've created your database without SSL enabled). Replace the admin with the name of the database you want to lookup if you want to quickly create a string for that database. The <username> and <password> will, of course, need to be replaced too, but remember that if you will need to use a username that has been given access to whichever database you are using. Creating a user for a database is handled through the database browser which you can get by selecting Browser in the left hand sidebar. In the browser, select the database to view the options specific to that database. You can then select Users in the left hand side bar. You can also select Admin to view the connection strings and statistics for that particular database. Now start your Meteor application. The Meteor server will now use polling to check for updates to the database server by other Meteor servers. This screen shows you the user name for the oplog user in the database (you do not need to create an oplog user), an obscured password for that account, a connection string for Oplog using applications to use, a command line to be used when debugging and a button to reveal an SSL certificate. Note that the entire connection string is wrapped in double quotes to stop the shell from interpreting the ampersand towards the end as an instruction to end the line. 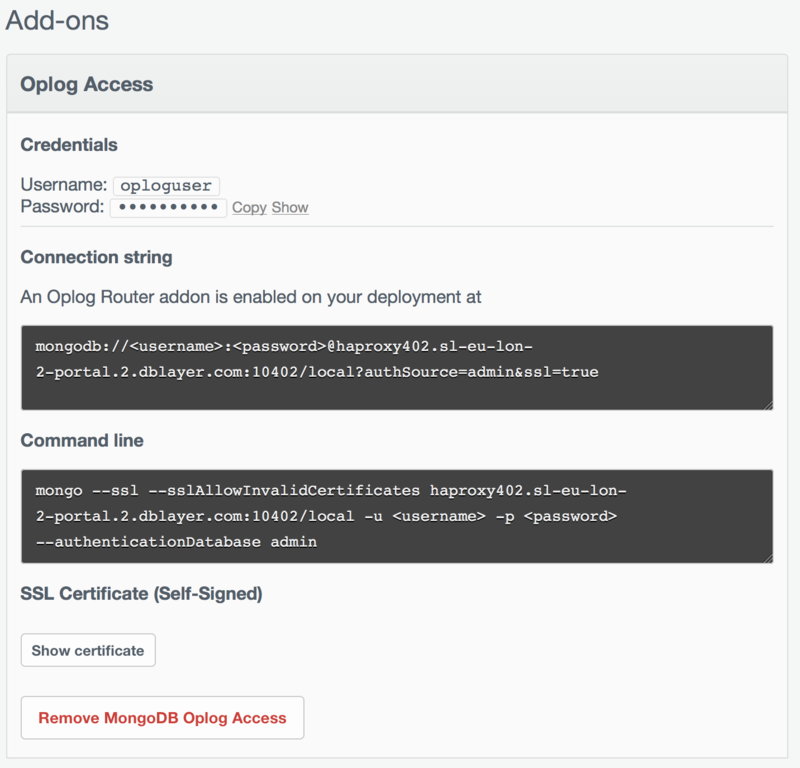 With this and MONGO_URL set, you can now start your Meteor server and it will use the Oplog to identify updates from the database made by other Meteor servers. 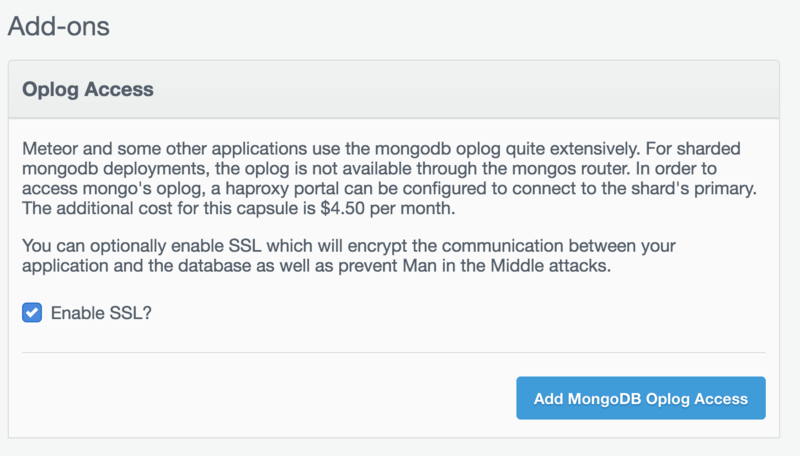 Now you can update to the SSL-enabled Compose MongoDB and make use of our dual HAProxy/MongoS routers for resilient connections to the database using Meteor. In the future we'll be looking at the options afforded by the new Mongo.setConnectionOptions(options) function. Till then, why not sign up for a free 30 day Compose trial, spin up a new Compose MongoDB today and try out Meteor 1.4 with it?